Every party is just a party unless something epic happens. 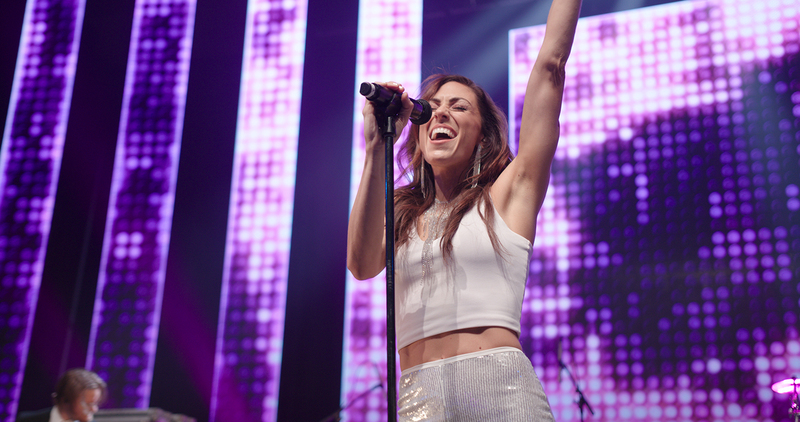 Get ready to go beyond with the most inspirational party band in the country …The Big Beyond! The Big Beyond brings magnetic energy that explodes on stage, ignites any crowd, packs every dance floor, and blows the roof off the best parties at the most high-profile venues. 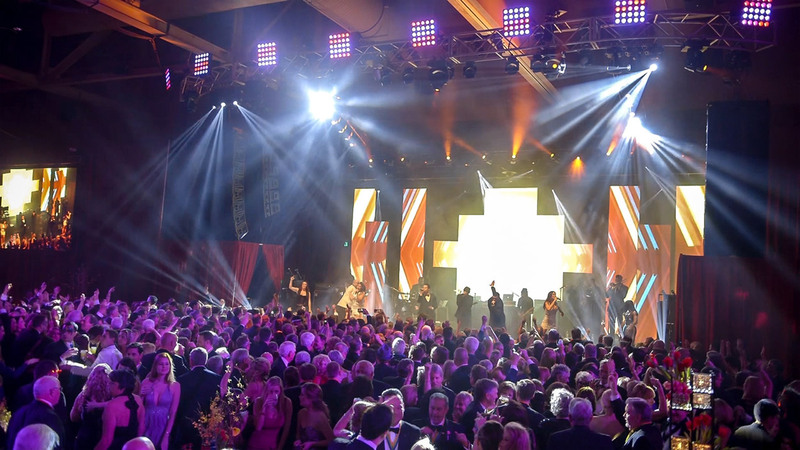 The Big Beyond has quickly become one of the nation’s most popular party bands, maximizing impact at the biggest events with the most notable crowds. Amplifying . . . The Big Beyond crushed it tonight. Like seriously, crushed it. 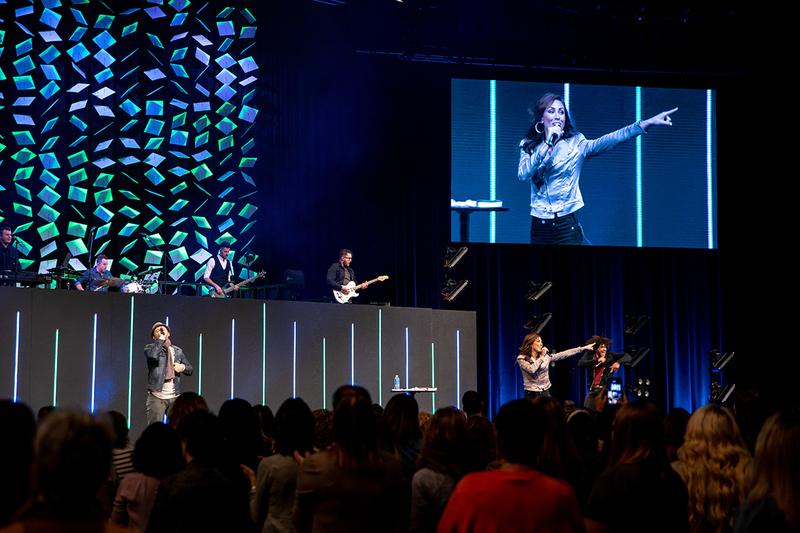 It is really an incredibly feeling as an event planner (who thrives off of OCD and Type A attention to detail) when I can fully rely on a band to run an event smoothly. Every party is just a party unless something epic happens. 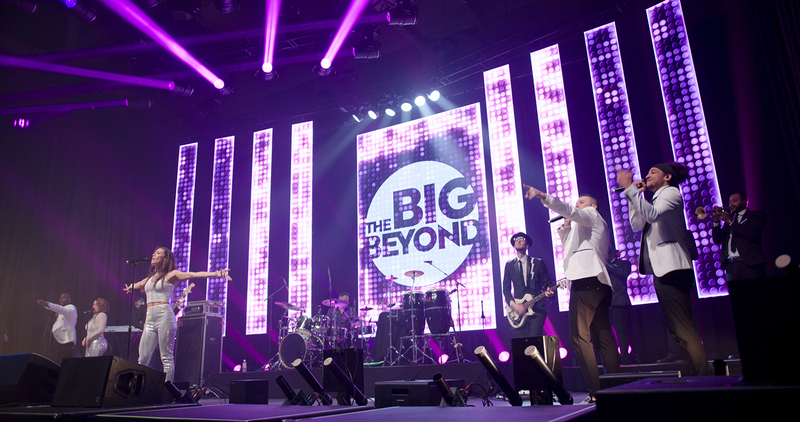 Get ready to go beyond with the most inspirational party band in the country …The Big Beyond! The Big Beyond brings magnetic energy that explodes on stage, ignites any crowd, packs every dance floor, and blows the roof off the best parties at the most high-profile venues. 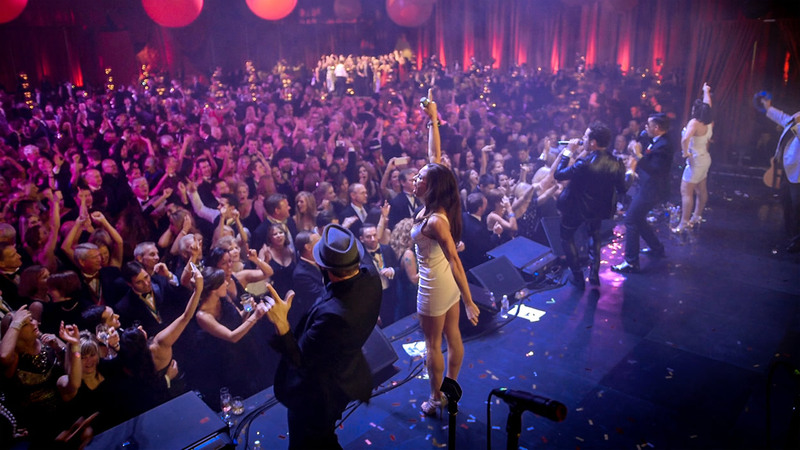 The Big Beyond has quickly become one of the nation’s most popular party bands, maximizing impact at the biggest events with the most notable crowds. 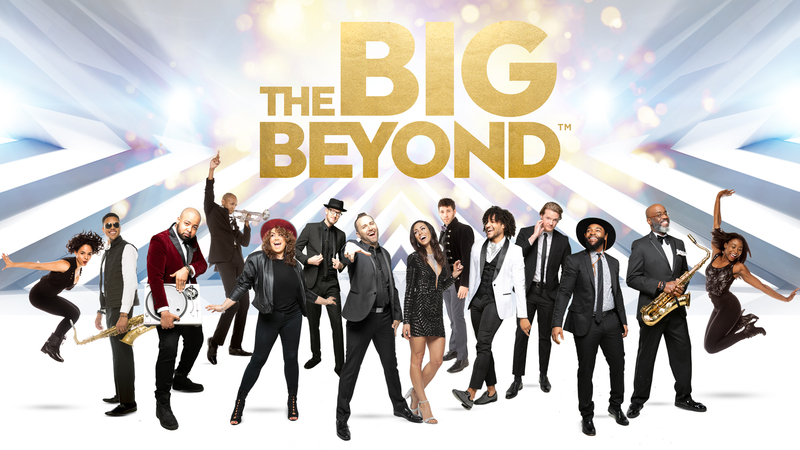 Amplifying a live party experience to the next level, The Big Beyond showcases an energy with more singers, more horns, more choreography, and more engagement than you ever thought a band could bring to a special event! 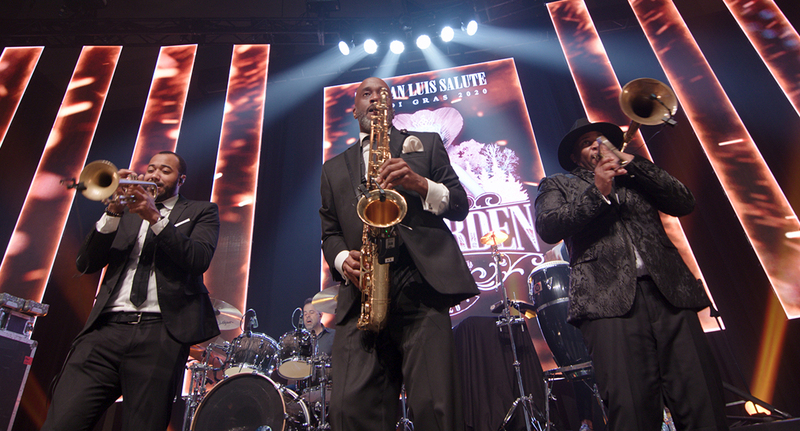 The band’s lineup elevates any event into an absolutely epic experience. The Big Beyond lineup can include combinations of male and female lead singers, a tight rhythm section, a sizzling horn section, energetic dancers, and a DJ/emcee to keep the crowd hyped. This band can scale up or down to nearly any configuration, bringing to life the biggest event plans and wildest imaginations. 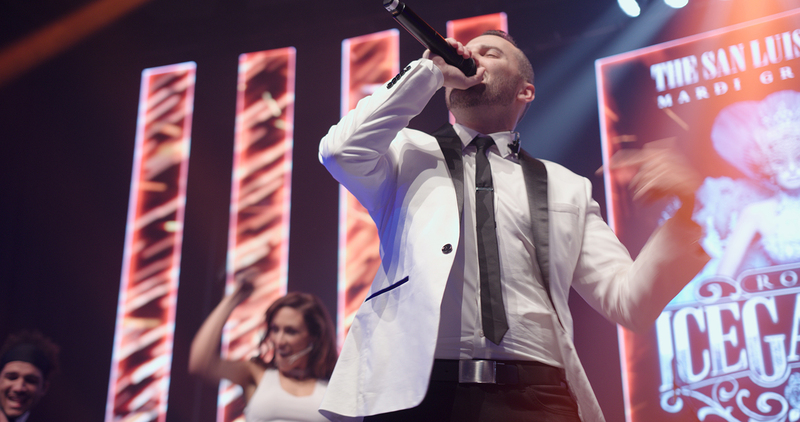 The Big Beyond brings good looks, great attitude, and unmistakable style to the stage at every event. 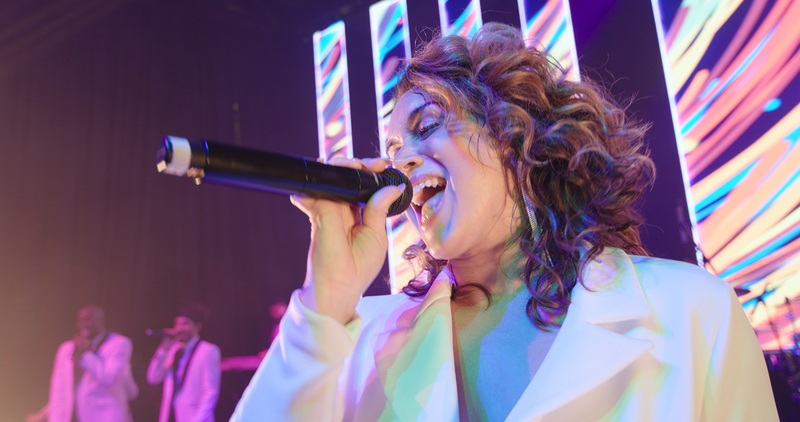 Their non-stop extended-length live sets grab guests by the lapels to keep the blood pumping, feet jumping, and lips moving in time with the most popular party songs of every generation. From Bruno Mars to Journey, Beyonce to Bon Jovi, The Big Beyond plays the biggest hits that merge with exciting choreography to deliver an unforgettable show that shimmers, builds, and keeps going strong so that every single person in the room is blown away by what they’ve seen. Thanks to megawatt power, zero ego, and a commitment to rocking each night like it’s their last, The Big Beyond is the freshest thing to hit the party stage in years. So whether you're booking a VIP party in Vegas, a movie premiere in Hollywood, or a corporate soiree in NYC, elevate your expectations and hang on tight. With The Big Beyond, what comes next will be BEYOND EPIC. 5-star review on the TheKnot.com posted 11/21/18: "The Big Beyond performed for our daughters wedding on Nov 17, 2018 at Graylyn Estate and cannot say enough awesome things about this band. They performed, and I do mean performed, for over 3 hours non stop! They are so talented in every way from their voices, their choreography and playing instruments! If you want a band that you will always remember and your guests will love, book them now! they truly know how to entertain!" From: Dorothy Clark Van Meter Date: Sun, Jun 18, 2017 at 12:35 PM Subject: Rave for The Big Beyond To: info@samhillbands.com Justin, Just wanted to communicate and let you know that The Big Beyond played for my daughters wedding reception on June 3 in Lexington, KY. Without a doubt the best party band I have ever heard, and that was echoed by so many of the guests throughout the evening and after. And FUN!! I have never been to an event, much less one that I hosted, where the dance floor was absolutely packed with people ranging in age from 5 to 80s the entire night. The personnel were also so nice to talk to before and after. I have already given their name as well as Sam Hill to three people, one in Alabama, one in Lexington, and one in Pennsylvania(the maid of honor at our event) Great job!! And thanks! 5-star review on TheKnot.com posted 06/04/2017 "We had The Big Beyond at our Biltmore wedding in Asheville this May and they were INCREDIBLE. The band was super interactive, very dynamic and diverse. They played the classics as well as the newest Top 40 list. The band had my guests on the dance floor all night. They were definitely a pivotal vendor on my wedding night and my husband is already trying to convince me to book them for his 30th Birthday this year. HIGHLY recommend!"